When it comes to writing and talking about spoilers, it's always a tricky subject. If you've seen the latest Game of Thrones season 8 episode, you're going to want to talk about it, and immerse yourself in all the Game of Thrones theories that you can find online before the next one airs. But, if you haven't seen it, you're going to find yourself in a tricky spot when it comes to Game of Thrones spoilers. That's why we're here to explain exactly how we're dealing with Game of Thrones spoilers for season 8. While we know some of you can't wait to head straight online to talk about what's happened, others are much more sensitive about the coverage of big plot points / battles / deaths / dragons etc. 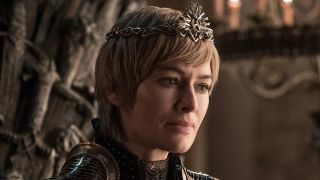 In the case of this final ever season of Game of Thrones - which will live or die by its spoilers - we've decided to be totally upfront about how and when we'll be covering the show on GamesRadar. That way, you can come and join the chat if you're ready, and know when to avoid us until you've seen it. We'll always make sure that there are no spoilers on our Twitter and Facebook accounts, on the site homepage or in our headlines, but there may be some things you don't want to click on until you're ready. The TL;DR version is that most of our Game of Thrones season 8 coverage will appear on Monday, with a slightly more weapons-free approach to news stories relating to specific events / theories / moments from the episode appearing from Tuesday onwards - after it's aired in the US and the UK (HBO on Sundays at 9pm ET / Monday 9pm BST on Sky Atlantic in the UK, but available on demand from the simulcast from Monday 2am BST). While we won't be doing weekly episode reviews, we will be reviewing the very first episode and the season as a whole when it concludes in May. They're be as spoiler-free as they possibly can be, but if you don't want to know anything about the episode before you watch it, avoid. Every week we'll be pulling together what we think are the biggest questions raised by the week's episode and all those that remain after watching it. They'll be contained within one article with the title "Biggest questions we have after watching [enter episode number here]" to avoid any spoilers until you get into the article properly. After that, it's spoiler city. You have been warned. There's nothing better than a bit of a beard-stroking exercise is there. When it comes to Game of Thrones, there have been plenty of rumours, theories and conspiracies about what's going to happen in season 8, and, more importantly, how it'll all eventually end. It's here that we'll be collating all the big ones, and although the headline and opening paragraph will be spoiler free, you know that we'll be chatting about the big stuff from then onwards. What's the first thing you do after watching an episode of your favourite show? Head over to Twitter and express your verdict or thoughts on it, right? Well, we love your reactions, which is why we'll do a weekly article collating the best from Twitter (here's the one we did for THAT Game of Thrones Super Bowl ad), but these articles can sometimes include spoilers because we like to give context to your reactions. While we avoid them where possible and never go into too much detail, if you want to really play it safe, avoid these until you're fully up to date. All of our recaps will live within one article, so if you do want to catch up before the next episode that's where you'll need to go. BUT, if you haven't seen any of them or don't want to be reminded of the horrors that'll (probably) happen in one of them, it'll be something to avoid until later in the week. Now here's where things get a bit more spoilery, because after the Monday night UK airing of the episode, from Tuesday onwards we're all about picking apart the episode for the biggest talking points and going deeper into specific elements / theories / plot points, so if you haven't seen the episode by Tuesday morning UK time, GamesRadar will not be your best friend. We'll be doing our best to keep headlines spoiler free, but we will be a bit more weapons-free when it comes to the topics we're openly writing about. Game of Thrones season 8 airs Sundays on HBO at 9pm ET in the US, simulcast at 2am BST in the UK on Sky Atlantic, and then again day later on Sky Atlantic and Now TV in the UK.